Giveaway! Enter to win a mini iPad, $250 gift card and many other prizes! 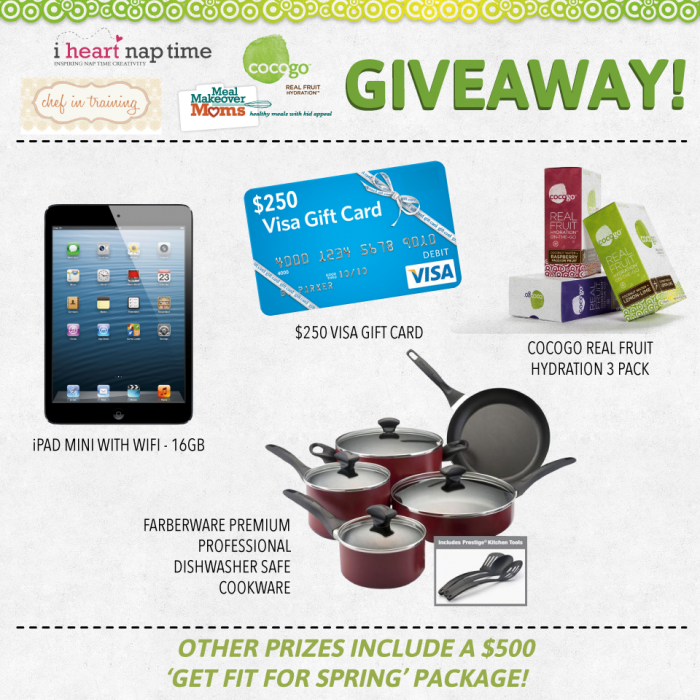 Chef in Training has teamed up with Altra, Cocogo, I Heart Nap Time and Meal Makeover Moms to bring you a very exciting to giveaway!!! Some pretty exciting prizes, huh?! Visit THIS LINK to head over to the Facebook Giveaway. Like all the pages to reveal the prizes. Follow the remaining instructions to complete your entries! The contest runs until Thursday, March 14th.